Snrky: That's only your version of events. That's only your version of events. 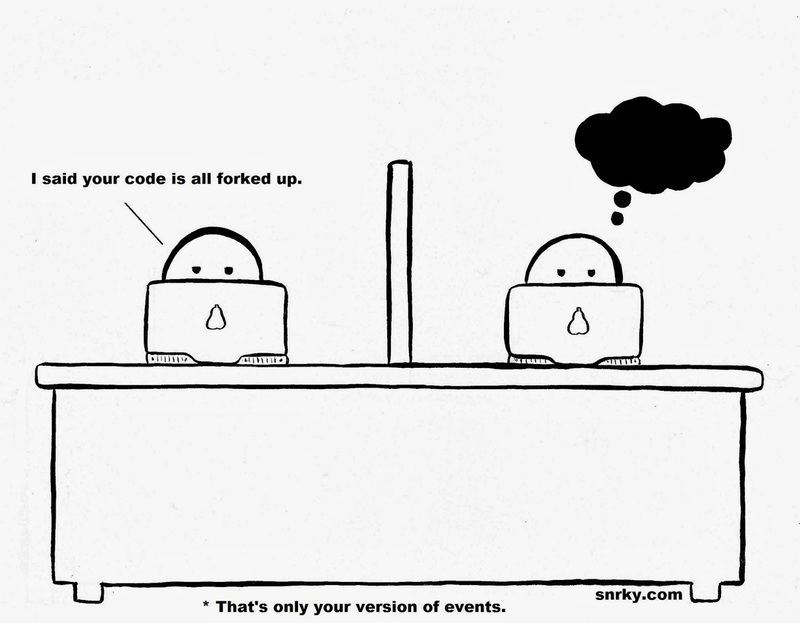 Snarky: I said your code is all forked up. Title: That's only your version of events.